A beautiful resort and great facilities. Right on the Dead Sea. The staff were super friendly especially at the Aqua Bar. The views were great especially at sunset. Complimentary room upgrade and good breakfast. Easy access to private beach along the dead sea with mud and salt provided. Spacious and clean room with complimentary mini bar. Souvenir shop has a 50% discount for dead sea products. We got a free upgrade. The breakfast staff was super friendly and very accommodating to our kids. The breakfast buffet had enough options to keep it interesting. They replaced our extra bed right away after I told them that it was sloping in the middle. The facility was large and well maintained. Even though it's low season, they made sure to keep even the kids playroom open for our kids. The resort is big and nice decorated. The view from ocean view room is superb! Room is spacious and well equipped. I like the facility on the beach, they provide free mud with mirror which u can see yourself and also towels. There are many pools but some under maintenance. The restaurant (we had Lebanese restaurant) wasnt that expensive as i expect. I and ny friend really had a good time there. Not clean , the reception staff not respect the families. good and delicious food. nice design building and room. beautiful layout. 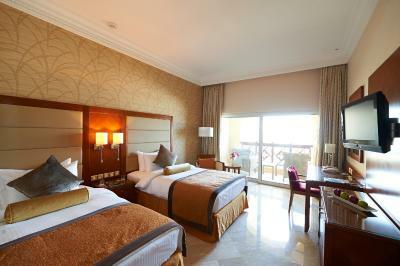 Friendly staff, nice sea facing room, best Lebanese restaurant in the town, awesome spa and recreation facilities. The staff on the beach were very helpful in helping us float. Crowne Plaza Jordan Dead Sea Resort & Spa This rating is a reflection of how the property compares to the industry standard when it comes to price, facilities and services available. It's based on a self-evaluation by the property. Use this rating to help choose your stay! Featuring a promenade along the Dead Sea, Crowne Plaza Jordan Dead Sea Resort & Spa boasts an outdoor pool, a gym and a restaurant. Baptism Site is a 20-minute drive away. The hotel offers modern rooms with a flat-screen TV, a minibar and a private bathroom. 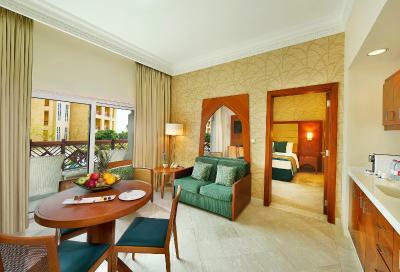 Each room includes a balcony overlooking the gardens or the Dead Sea. You can dine at any of Crowne Plaza Jordan’s restaurants where à la carte menus are provided. A buffet is served for breakfast, lunch and dinner. Room service is also available. The bar serves an assortment of beverages. You can take a dip in the outdoor swimming pool or work out at the gym. For an additional fee, you can enjoy a massage at the spa and health club. Mount Nebo is a 25-minutes drive from Crowne Plaza Jordan, and Hammamat Maeen is 20 minutes away by car. Queen Alia International Airport is a 45-minute drive away. Free valet parking is available. 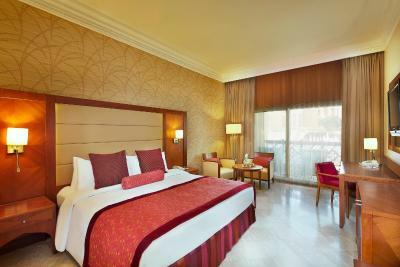 When would you like to stay at Crowne Plaza Jordan Dead Sea Resort & Spa? 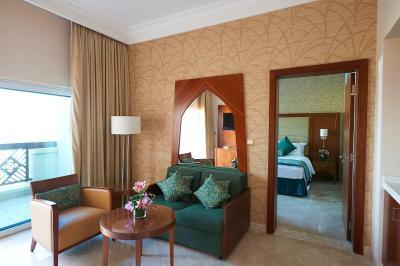 This air-conditioned room overlooks the hotel's strip and lagoon. It is fitted with marble floors and offers an in-room safe, an iHome iPod, mini-bar and coffee maker. This twin room has a balcony, flat-screen TV and bathrobe. This double room has a balcony, seating area and a private bathroom with hairdryer. All towels are provided. This suite has a balcony, sofa and electric kettle. This villa features a balcony, mini-bar and electric kettle. House Rules Crowne Plaza Jordan Dead Sea Resort & Spa takes special requests – add in the next step! Crowne Plaza Jordan Dead Sea Resort &amp; Spa accepts these cards and reserves the right to temporarily hold an amount prior to arrival. Crowne Plaza Jordan Dead Sea Resort & Spa accepts these cards and reserves the right to temporarily hold an amount prior to arrival. Please note that the mini-bar is free on selected items only and is filled once per stay. Please note that outside food is not allowed in the hotel for hygiene and quality control issues. Lack of atmosphere, probably due to being low season at this hotel. The food options could be more varied, especially as you are captive on the resort and you can't just walk to somewhere else. Good location, although on it's own - so you just have to stay on resort for the duration. 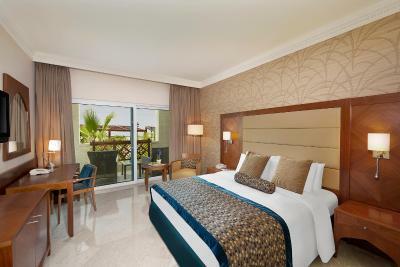 The hotel has a good Dead Sea experience, with private beach facilities. The pool area is huge, and not busy, although it wasn't peak time for our visit. Rooms were spacious and clean, so no complaints there. Pool and location. Nice resort. It was not clean. We looked under our bed for something on the first day and it was filthy. We hoped it wpuld be cleaned up the next day but it wasn’t. Overall housekeeping was not good, they didn’t even replace our towels and our complimentary coffee was replaced with all decaf. It was also super expensive. Though the rates for the room are very reasonable they far overcharge for food and beverages, particularly alcohol. Spa person did not follow up with us re. treatment the next day. Valee parking personal guided us irresponsibly when asked how to join into an activity that was happening across the highway from the Hotel (they did not guide us to the entrance and had us climb a bluff and walk along a narrow path along a fence to get to entrance. We could have gotten hurt, not for people our age. We liked the location, facilities to Dead Sea, Staff at Front Reception, the restaurant and beach were superb. The breakfast served was the best hotel breakfast we had received in our 2 weeks (this included our stay at the Crowne Plaza in Amman. Some of the staff members were rude and generally the service was quite slow. Likewise, most of the members did not speak english. The bedroom was comfortable and the swimming pools were also very good. Staff incredibly rude.... for my surprise, whereas everywhere else in Jordan, everyone was so pleasant. Staff was not helpful - apart from guy at the beach/dead sea; all of them. From reception to restaurant.... or else I was not lucky. Clearly personnel is not happy to work there - not sure what management treats them and how the customer service is not passed to the team with motivation. I can only judge from motivation (on comparison in Jordan). Food was not good either. Which it's a shame, considering the facilities, location, and extreme high cost on day rate.